Mumbai-based Century Infotech Pvt Ltd, the company behind the online marketplace for interior designs and home dÃ©cor Nestopia.com, has received an undisclosed amount in funding from plywood maker Century Plywood India Ltd, a top executive of Nestopia told Techcircle.in. The capital will be used to roll out its mobile app as well as to create an ecosystem of interior designers by increasing the number of subscribers and monetising some of the products it recently launched. Nestopia was founded in late 2013 by Harsh Jain, an alumnus of Rutgers University (the US). Prior to setting up the internet venture, Jain was a strategy and business development manager at Century Plywood. Earlier, he had worked at Johnson & Johnson. 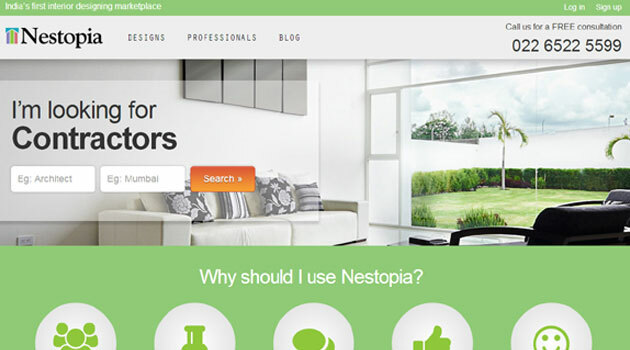 An online marketplace for interior designs and home decor, Nestopia provides clients with instant access to experts, products and designs on a single platform. The sellers on the Nestopia platform include Nesta Furniture, Freedom Tree, FabFurnish, Urban Ladder, and Pepper Fry. Last week, it launched NestLooks, which offers ready-made design solutions as well as customised solutions to clients. The NestLooks customised solutions take into account site plans, room size, lighting, wall colours, personal preferences and the existing furniture to create looks to suit the particular space. The service is priced at Rs 5,000-15,000.